Do you need another telephone in a different room? Or would you like to move your telephone to a different location? Many of the telecoms providers do not have telephone engineers. You may find yourself calling BT (British Telecom) asking for a service or a repair, they will ask you to contact your provider e.g. pipex, talktalk, tiscali, Sky to name just a few – who cannot help with any service calls, following many infuriating conversations you will be left to resolve the issue yourself. To avoid all this hassle, just call us and our local telephone engineer will offer you advice and a no obligation quote. If you are planning or in the process of doing home improvements/extensions, we can not only install new points/cabling, we can temporarily relocate your existing points, neat and tidily, until you are ready to have them installed in the final location. Are you short of telephone points in your home/office? Perhaps for your router/modem or for your Sky set top box? Or need an extension in an annexe or separate building within your grounds? We can locate sockets as desired throughout your home, office or any other location you would like. Just call Wired and speak to our engineer. Not only can we install new points, we can also fault find and repair existing lines and will advise you and give an estimated quote over the phone. All our work is carried out with the minimum of fuss and we will make an appointment to see you as quickly as possible and at a time that suits you – No waiting around for hours hoping an engineer will arrive! Our services are fully available to both commercial and domestic clients. No job is too small or too big for our engineer. We can help with anything from a fault on a one line domestic cable, right through to complex commercial wiring and telephone systems. Just call us now for further information and advice. Do you need a telephone in another room? We can efficiently and tidily run an extension, or several extensions, to suitable points throughout your premises. For extra Sky boxes / multi room around your property, you will need a telephone point. We can install these wherever you need them. BT would charge on average £200 call out charge and other charges can apply depending on what you require. Virgin and other major communication companies would charge similar. We will significantly reduce this cost and you also have the benefit of dealing directly with the engineer who will visit your property and will know exactly what time they will arrive. No call centres, just helpful and efficient service. Is there something wrong with your phone line? Is it noisy, not working or you have accidentally cut the cable? The internal extension wiring within your property is your responsibility – your provider is only responsible for the wiring to the main socket (NTE5) and nothing beyond. If you are having problems with your phone line, and you believe the problem to be internal, contact us and we will be able to carry out a full fault check within your property, and if the problem is internal, we will be able to make repairs there and then. If you don’t like where your telephone point is, or are in the process of building works, we can neatly relocate the point to wherever suitable that you would like it. For renovation/building works, we can temporarily move your points to keep you up and running, then permanently re-fix them once you have decided where you would like them. Are you hard of hearing? Working outdoors or in a warehouse where you are too far away to hear the phone? Or working in a noisy environment? We can install bells or sirens internally or externally which can be switched on or off and will avoid you missing that important call. We can supply a wide range of telephone systems to small and large businesses. We can provide new or reconditioned equipment and also fault find. 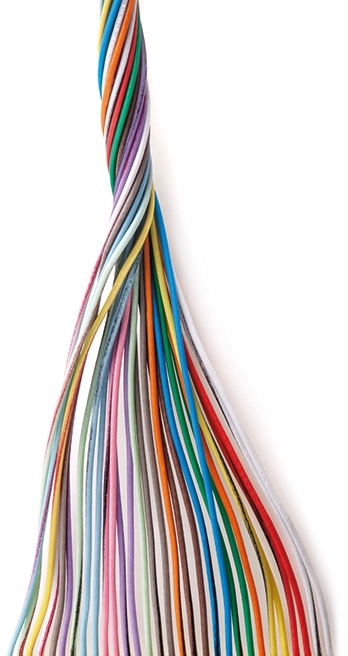 There are many ways that cabling can start to look messy. Perhaps you have cabling that hasn’t been installed properly, cables that have been pulled away when decorating, or not pulled away and painted on? We can re-run new cable, tidy up existing, or re-route the cables if they have been put in impractical places. There are many places where external phones are of great benefit e.g. farms, studs, roadsides, lakes, poolside, youth hostels, police stations, motorway services, airport lounges to name just a few. We can supply and fit external phones with the minimum of fuss.